Always looking to use your smartphone when its time to take a picture? Its good enough for a memory of the event, but sometimes you want higher quality pictures. With the Sony DSC-QX10/B Smartphone Attachable 4.45-44.5mm Lens-Style Camera, just attach the Lens to any smartphone for a 10x zoom camera. Attach the Sony Attachable Lens Camera, to turn your smartphone into a 10x zoom camera. Phone sold seperately. 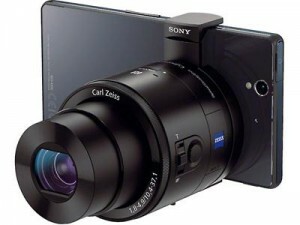 Now anyone can get perfect picture with their smartphone thanks to Sony. I’m sure there will be more to come.